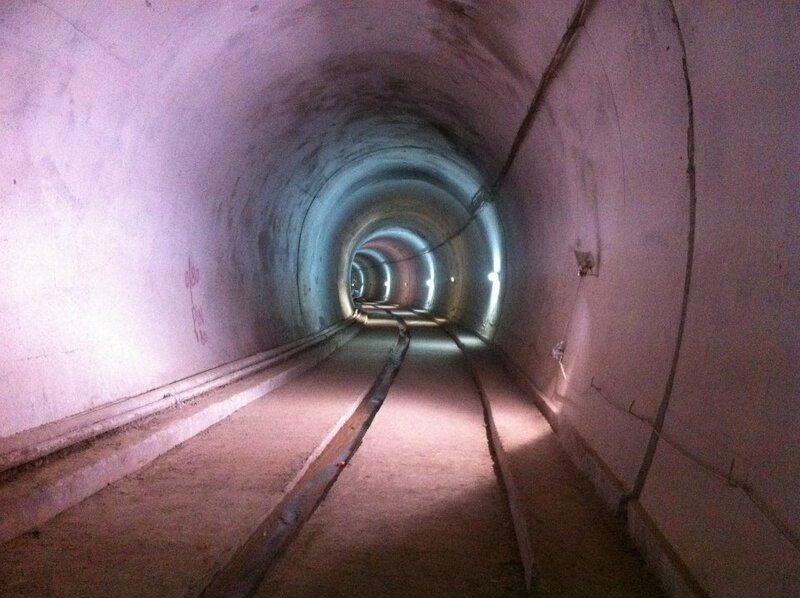 A 9.2 km long tunnel (Chenani-Nashri Tunnel) is being constructed about 2 km from Chenani town. The tunnel will be the India’s longest road tunnel when completed. It will reduce the distance from Chenani to Nashri by 31 km and reduce traffic jams on NH-1A that occur due to snowfall and avalanche in winter at Patnitop. In addition to the main road tunnel, there will be a smaller parallel escape tunnel for emergency services and extraction of smoke and persons in case of fire and accident. The Southern portal (end) of the tunnel is at 33.0463°N 75.2793°E and the Northern portal (end) of the tunnel is at coordinates 33.1285°N 75.2928°E. When the tunnel is completed, the highway will no longer pass through Patnitop. The tunnel will reduce the length of the highway by 31 km and the highway will bypass Patnitop. 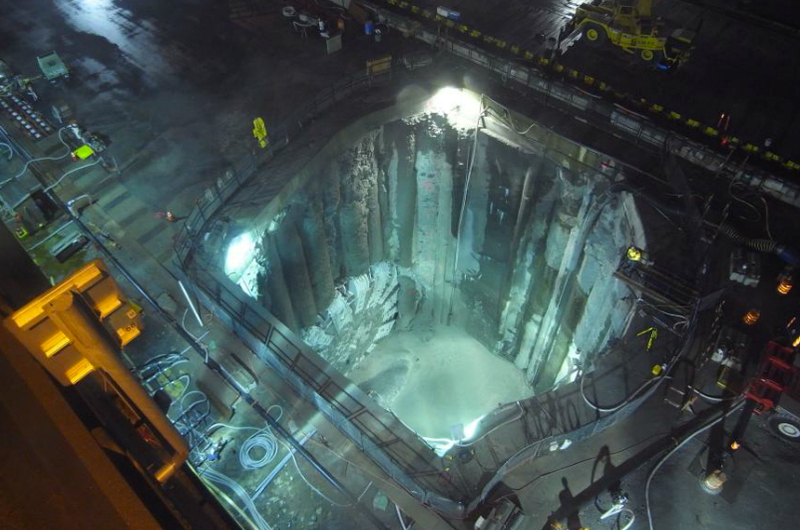 Elizabeth, one of the last tag team of Crossrail tunnelling machines, has made the first breakthrough into the City of London, 40 metres below ground under Liverpool Street. 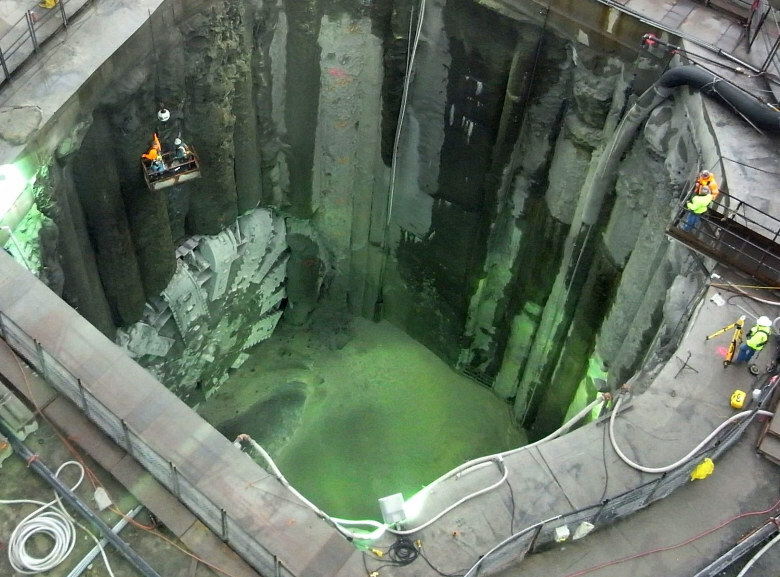 It’s the Bertha’s slow and successful breakthrough into her repair shaft. The Turin–Lyon high-speed railway is a planned 220 km/h railway line that will connect the two cities and link the Italian and French high-speed rail networks. 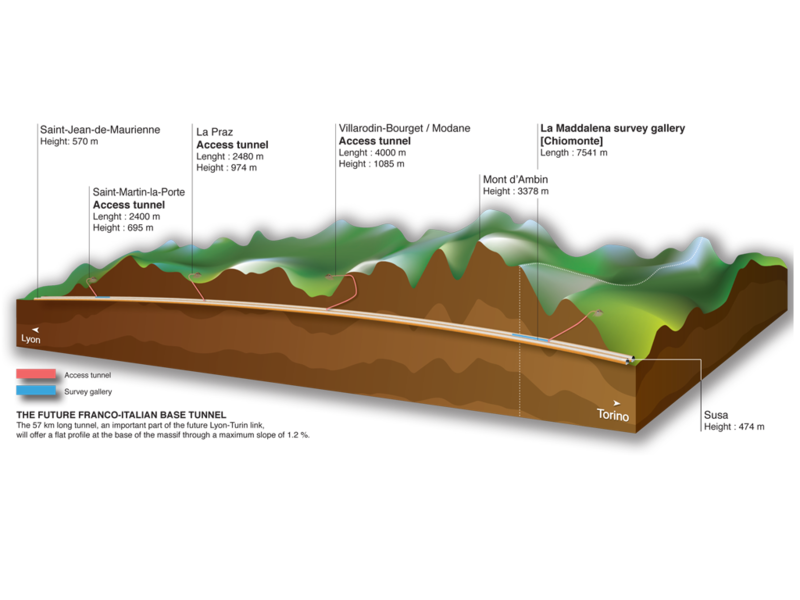 Work as up to now been limited to geological reconnaissance tunneling. Actual construction of the line was initially planned to start in 2014–2015 but is not funded to this date. The project was approved in 2015 costing 25 billion euros, of which 8 billion is for the tunnel. The line was part of “Corridor 6” – now modified and renamed as “mediterranean” – of the TEN-T Trans-European conventional rail network, which is not classed as a high-speed railway by the European Commission. The new line will considerably shorten the journey times, and its reduced gradients compared to the existing line will allow heavier freight trains to travel between the two countries. 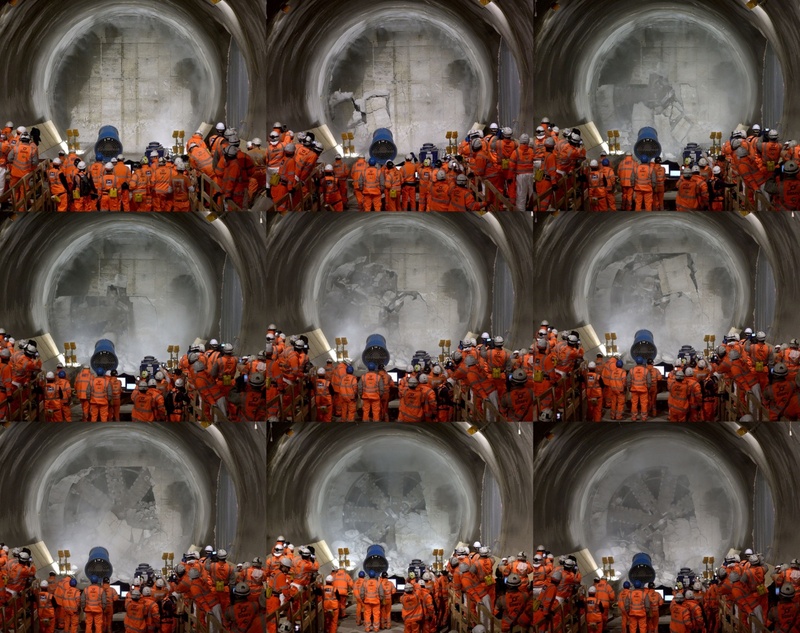 The core of the project is a 57 km base tunnel crossing the Alps between Susa Valley in Italy and Maurienne in France. 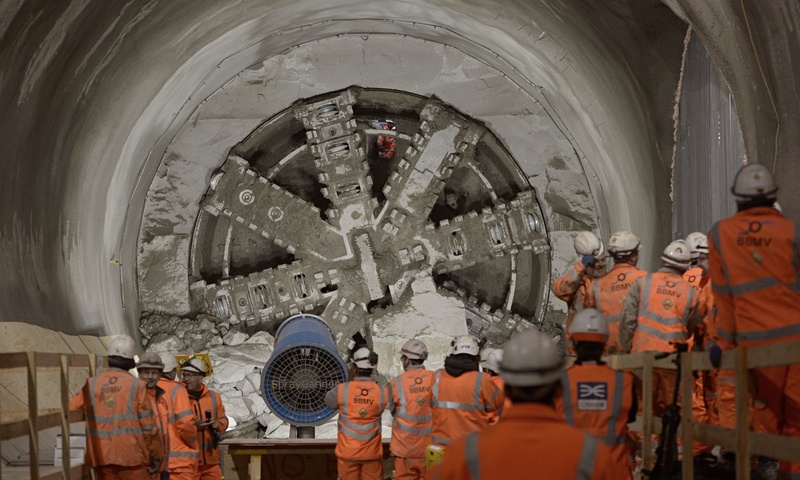 The tunnel will be one of the longest rail tunnels in the world. The project has been the subject of much criticism because of its cost, the currently decreasing traffic (both by motorway and rail), environmental risks involved in the construction of the tunnel, and the supposed worthlessness of the new line (airplanes would still, after including time to and from the airport and through security, be slightly faster over Milan-Paris). A report by the French Court of Audit has questioned the realism of the costs estimates and traffic forecasts.